Donald Trump has won the backing of flamboyant former Bulls player Dennis Rodman, who tweeted his support for his "great friend" on Friday. "@realDonaldTrump has been a great friend for many years," Rodman wrote in his message. "We don't need another politician, we need a businessman like Mr. Trump! Trump 2016." The GOP presidential candidate responded to Rodman, an NBA hall-of-famer with some of his own experience in international diplomacy. Trump thanked Rodman and then wished him well in the tweet. "Thank you @DennisRodman. It's time to #MakeAmericaGreatAgain! I hope you are doing well!" Trump wrote. 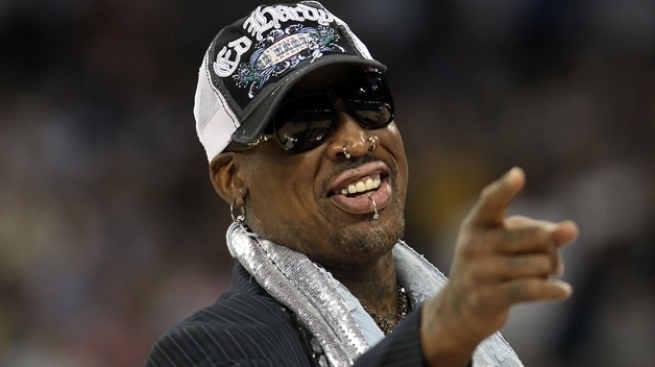 Rodman appeared on Trump's show "Celebrity Apprentice" in 2013. Later that year, he traveled to North Korea to take part in an exhibition game on the birthday of Kim Jong Un. Trump famously supported Rodman's diplomacy effort, according to CNN, and called the trip "smart."